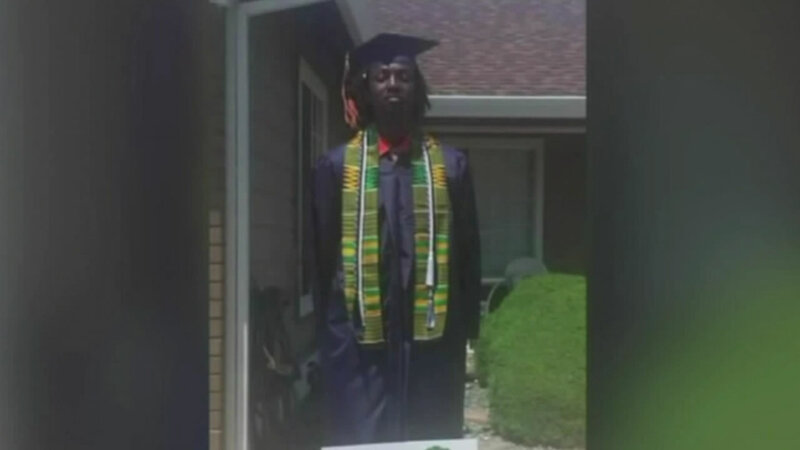 SACRAMENTO, Calif. -- A graduating high school student from Elk Grove was escorted out of his graduation ceremony because of a wardrobe choice. Nyree Holmes wore an African kente cloth over his graduation robe. The piece of fabric is worn during special occasions in his home country Ghana. School officials say he ignored the dress requirements, which are only cap, gown and awards. Sheriff's deputies escorted Holmes out of Sleep Train Arena before he could get his diploma. "I wasn't acting out of hand at all, I just wanted to be able to show my cultural pride and my religious pride," Holmes said. "Things could have been handled differently, if we had perhaps more personnel, site personnel administrated from the school site to talk with the student," said Xanthi Pinkerton of the Elk Grove Unified School District. A security guard helped Holmes get back into the arena to pick up his diploma. School officials say they plan to reexamine the dress code policy.